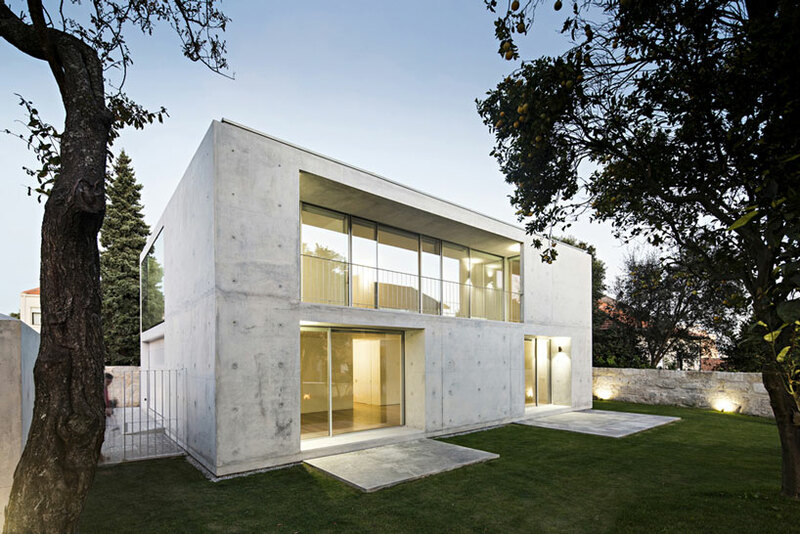 architect joão vieira de campos has designed this single family, concrete home in the serralves region of porto, portugal. 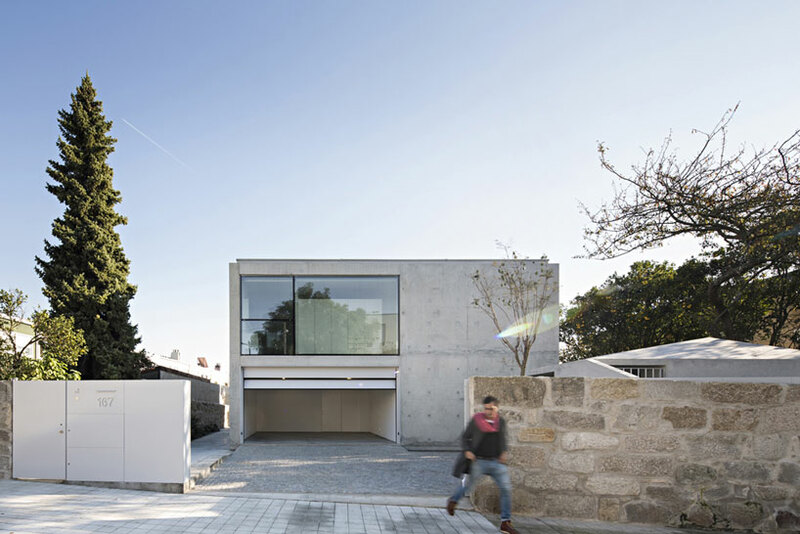 the project, entitled ‘casa no porto’, features an atypical implementation of windows and entrances, while relying on overarching concrete gestures to define the structure. 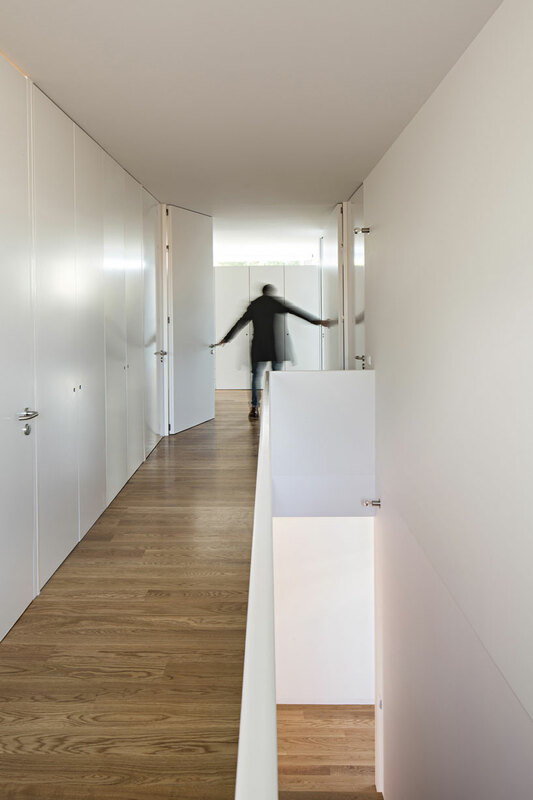 the results are twofold: the dwelling breaks out of the usual language of vernacular architecture, and inhabitants are forced to change their interaction within the space. 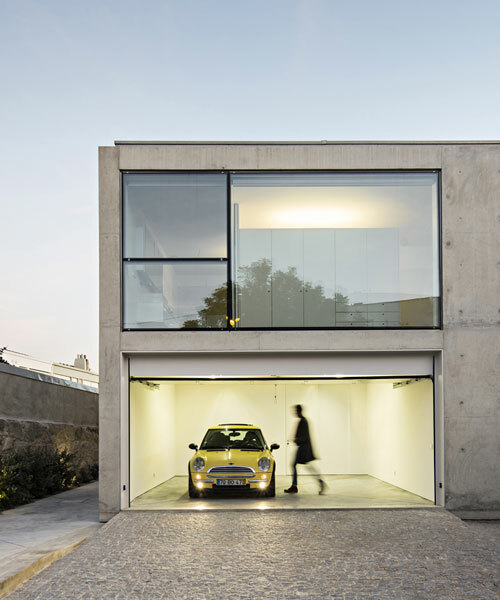 ‘casa no porto’ can be entered either through the garage, or through the backyard. 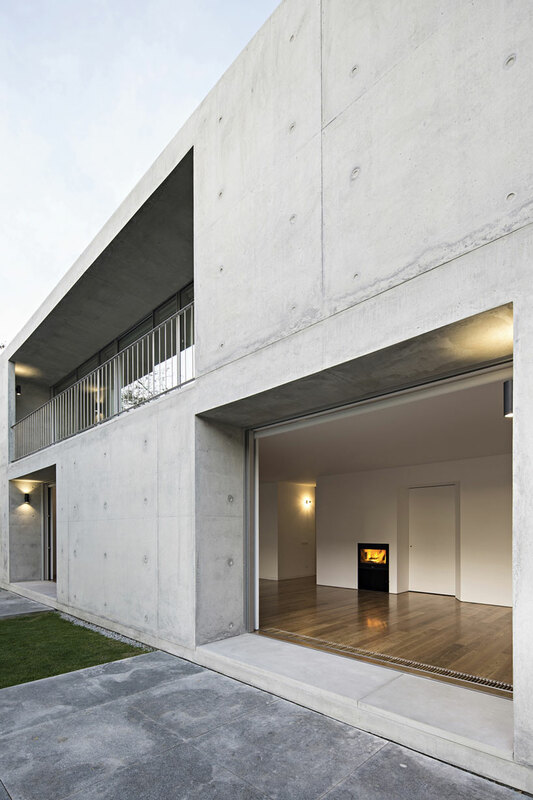 thick concrete walls become like a exterior shell, from which the living space unfolds. rear ‘doors’, made entirely from glass, have the ability to fold up and away if the weather is suitable to allow a complete freedom of movement between the house and the garden. 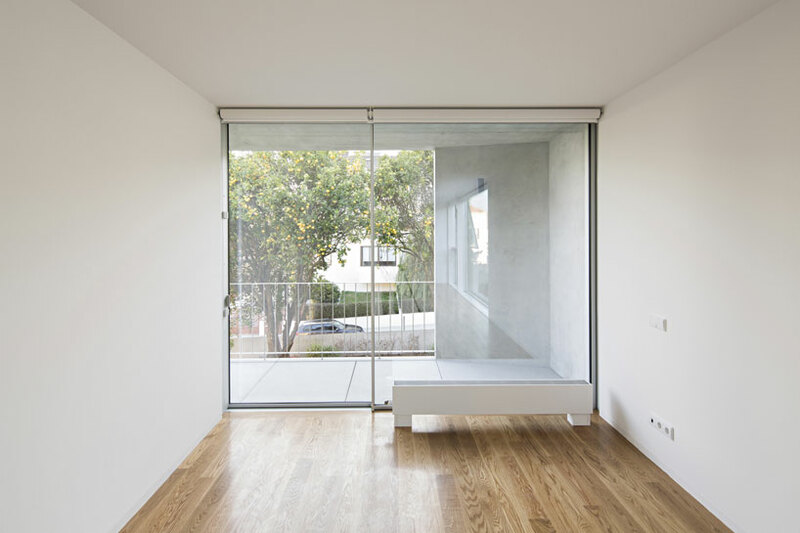 photographed here by nelson garrido, the home bears a simplistic elegance, almost like a work of constructivist art. 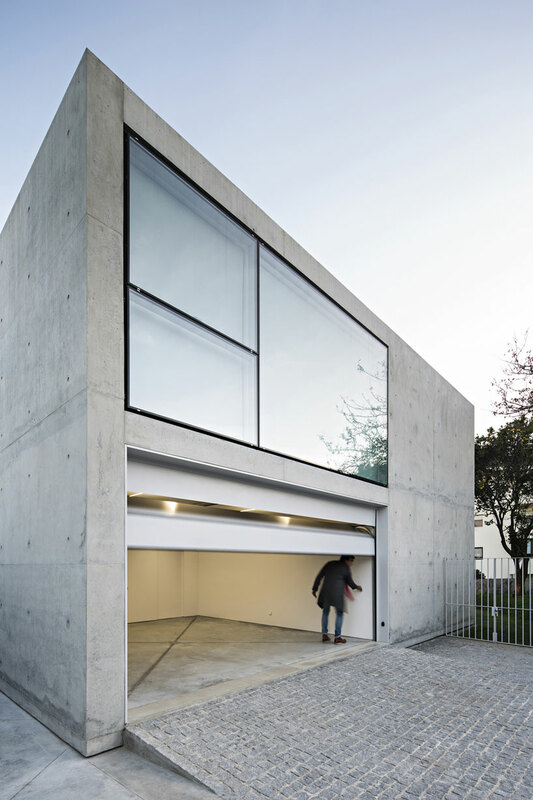 to contribute to this, joão vieira de campos intentionally left raw unrefined elements on the concrete exterior — much in the same way louis khan did with the salk institute — thus illustrating the material’s qualities and alluding to its construction.